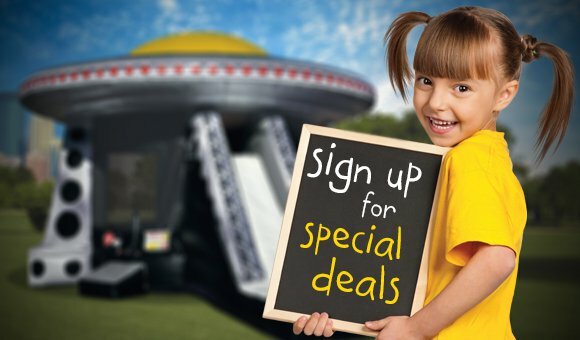 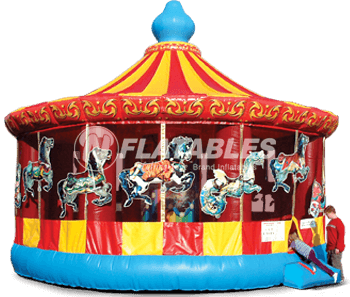 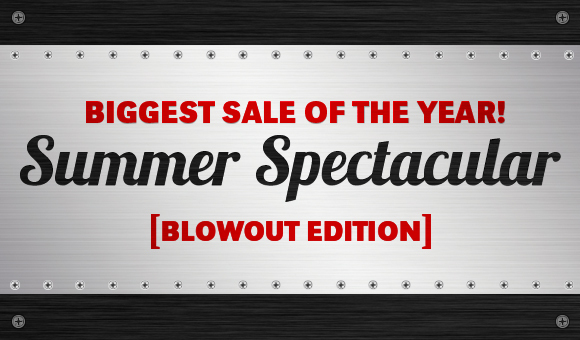 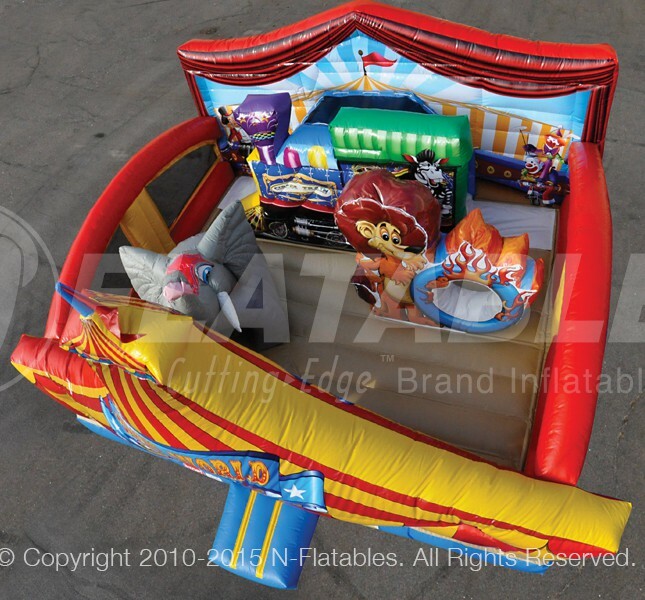 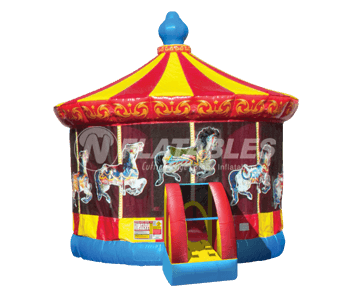 Everyone gets excited when the circus comes to town, and the Circus Playland™ will not let you down. 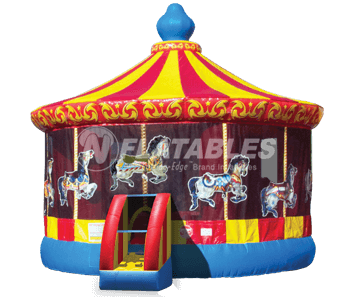 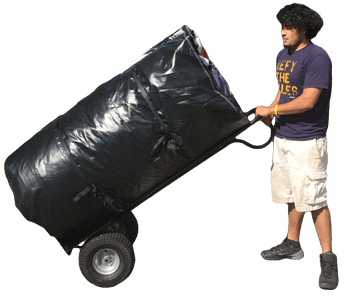 This unit is perfect for the littelest of patrons and easily fits into a corner. 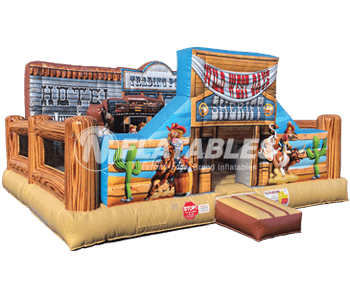 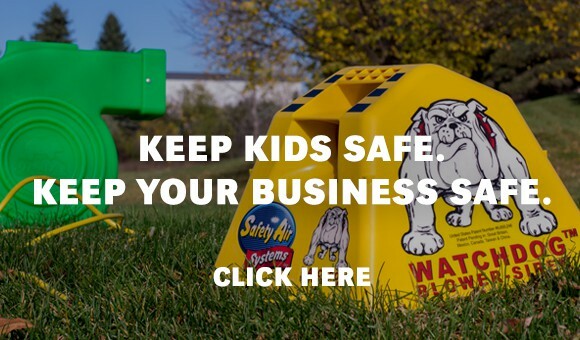 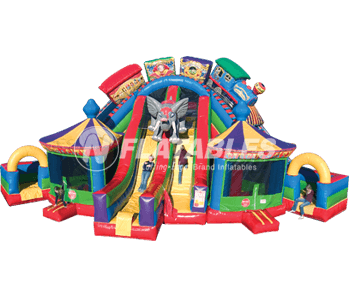 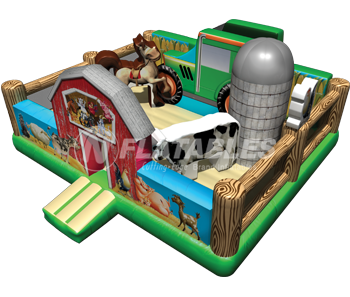 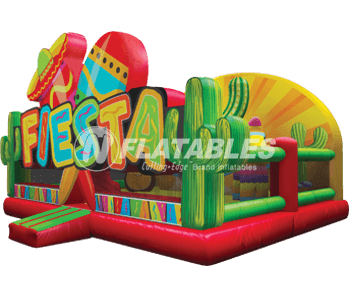 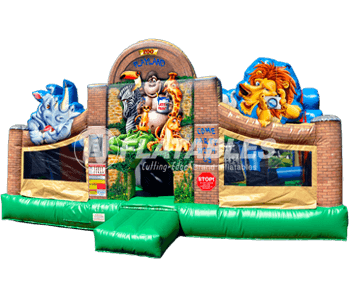 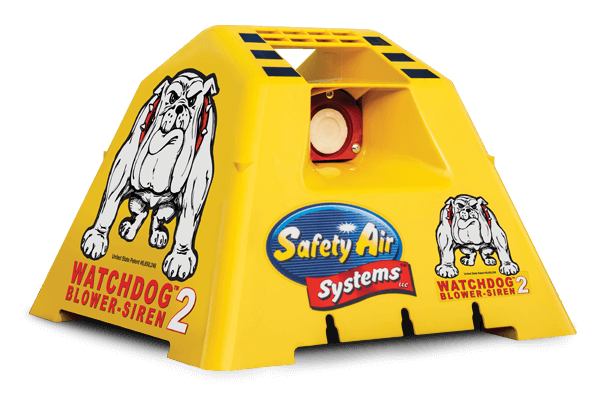 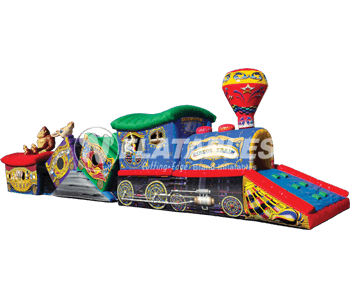 It features dazzling digital print both inside and out, kid-friendly obstacles, a train climb & slide, and plenty of bouncing area. 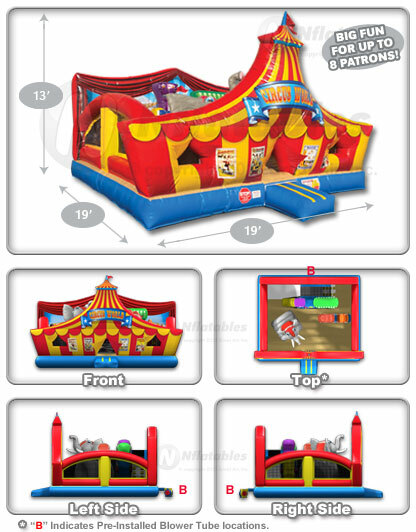 Playlands have room for 8 kids and only take up a small footprint of 16'x19'.